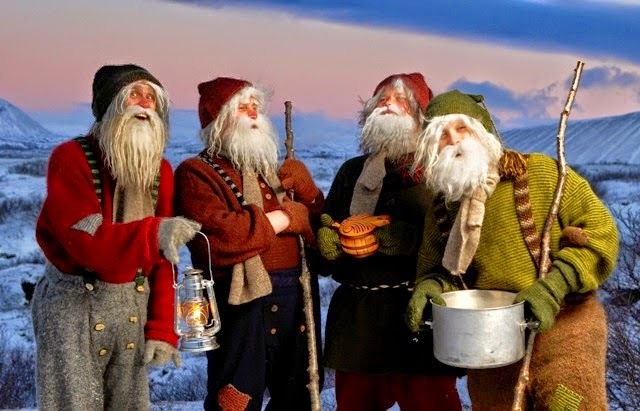 In Iceland, Christmas (called Yule or Jól) festivities start at 6 pm on Christmas Eve, December 24th, and last until Twelfth Night (Epiphany, January 6th). In the high north, Christmas is linked to ancient traditions related to the winter solstice, called Yule. Celebrations took place on a full moon during the time of year when the day was shortest. Not much is known about how the feast was celebrated then except that Icelandic chieftains were in the habit of inviting scores of people to Yule drinking and eating feasts. Later, Yule was superseded by the celebration of the birth of Christ with the coming of Christianity around 1000 AD.